Super Sport Marine, Inc. -Super Sport Marine, Inc.
Super Sport Marine is representing Sailing Yachts in more places. Super Sport Marine has satisfied customers across the United States with sailboats delivered from our home offices in Nebraska. Super Sport Marine is now manufacturing and delivering replacement aluminum trailers for your MacGregor Classic 26, 26M and 26X yachts. Super Sport Marine's central location allows us to sell and service sailing yachts through out the United States. Oh, and did we mention that Super Sport Marine will deliver your new boat and take you sailing to familiarize you with your new yacht. At Super Sport Marine we are sailors too. Customers recommend Super Sport Marine... and that is the ultimate compliment to us. Contact us for your new Sailing Yacht or we will help you find a gently used sailboat also. Call Super Sport Marine using our toll free number, 1-800-234-3315, or use our E-mail to contact John Gerber. John is always happy to answer your sailing questions about the sailing boats Super Sport Marine offers. Hi Sailors... Super Sport Marine is representing Sailing Yachts. Super Sport Marine has satisfied customers across the United States with sailboats delivered from our home offices in Nebraska. It is always a pleasure to demonstrate your new sailboat and help to network you with other experienced sailors. Super Sport Marine's central location allows us to sell and service yachts and sailboats through out the United States. Oh, and did we mention that Super Sport Marine will deliver your new boat and take you sailing to familiarize you with your new yacht? Super Sport Marine has continued to service MacGregor Sailboats since 1977. John Gerber has a wealth of experience in rigging and servicing the sailing boats he sells and delivers. Super Sport Marine will rig your new yacht with the features you want, such as, Shore Power or a Marine Head with holding tank that is fitted with open water discharge and a deck pump out. All of your electrical rigging is done with marine grade braided tined copper wire (the best materials) for years of trouble free use. At Super Sport Marine we are sailors too, and have a staff that is service focused. Customers recommend Super Sport Marine... and that is the ultimate compliment to us. Contact us for your new yacht or we will help you find a gently used one also. Our MacGregor replacement tandem and single axle trailers come equipped with or without surge brakes. 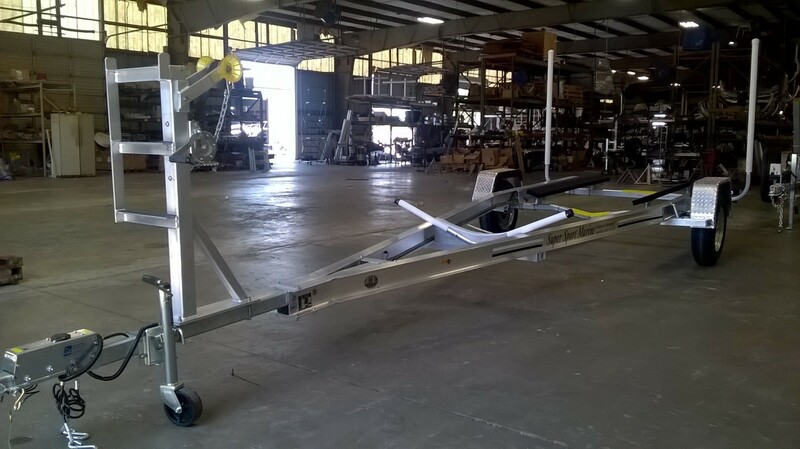 Super Sport Marine trailers are manufactured of lightweight aluminum to properly fit your MacGregor 26 Classic (1995 thru 2004 boats); 26X (1995 thru 2002 boats); and 26M (2003 thru 2013 boats). 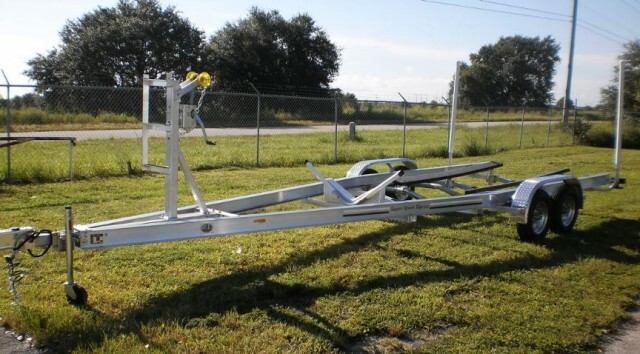 Replacement trailers designed to give you better support than the original steel trailers. Super Sport Marine does not manage content to the website linked here. The vessels are offered subject to prior sale, price change, or withdrawal without notice. Another vote for John Gerber and Super Sport. Another vote for John Gerber and Super Sport. Very knowledgeable about every possible option you can have installed but not pushy and will give you an honest answer. As said before, they answer your phone calls and return e-mails. I am a fan of John Gerber at Super Sport Marine. I am a fan of John Gerber at Super Sport Marine as well and I am glad I choose him. From ordering the whole package to delivery up to solving problems thereafter I think I got the best possible support you can expect from a dealer - and he can always be reached on his cell. Thank you Super Sport , Gary and most of all Thank You John Gerber. I cannot recommend this company enough and should the need arise for me to sell my boat, it will be shipped back to Super Sport to sell, as I know that their expertise will be able to place her and treat any intending purchaser with the same care, consideration and respect I have enjoyed.